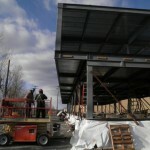 The first box of the second floor is being lifted onto the completed first floor. As bulldozers and jack jammers continue to break ground on what will soon be the new site of the College’s Child Care Center, assembly of the modular structure is already underway off-site. 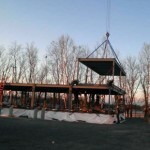 In the first set of images, the first box of the second floor is being lifted onto the completed first floor. 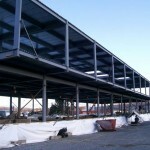 The second image shows the entire building assembled in the factory’s parking lot. 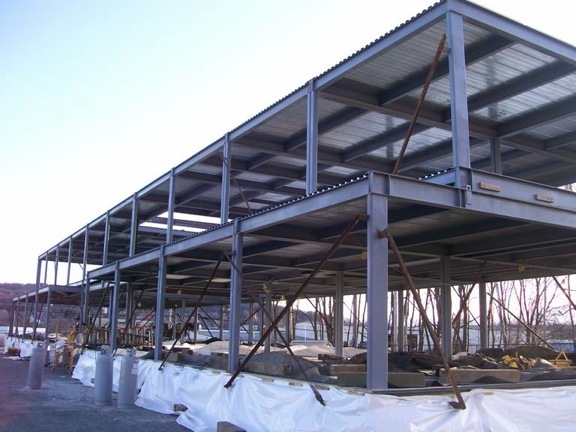 Other images show the building from different views. 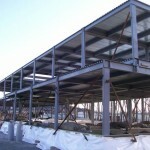 The new center is scheduled to open by summer 2012, between Shuster and Davis Halls, and will consist of twenty-two prefabricated modules that will be delivered to the campus and hoisted into place. 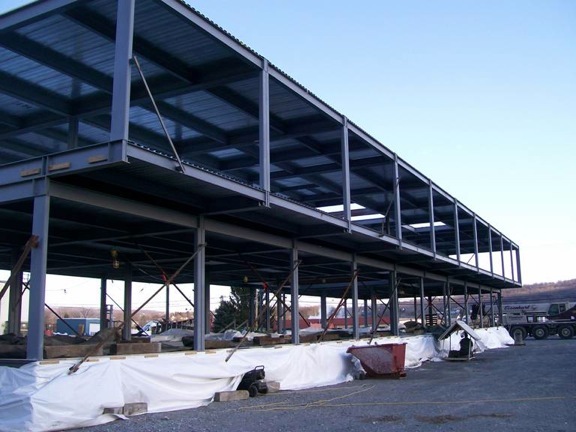 It will be able to accommodate up to 140 children for all-day and after-school programs. 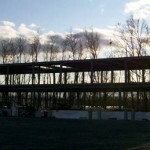 The skeleton of the new Child Care Center's two-story building is completed off-site. 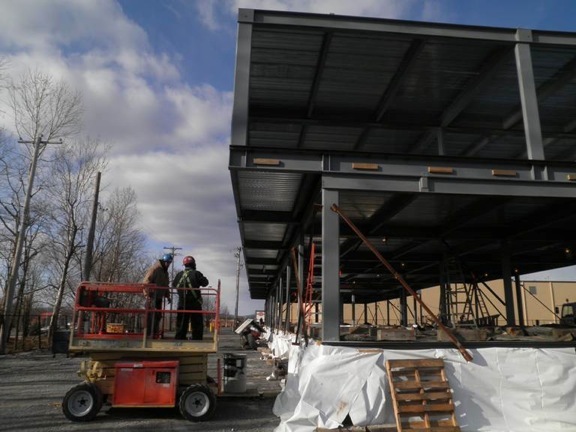 Workers supervise the off-site assembly. 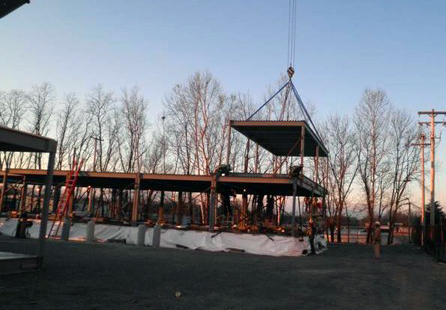 Another view of the modular center in its assembly stage. An additional view of the assembly.